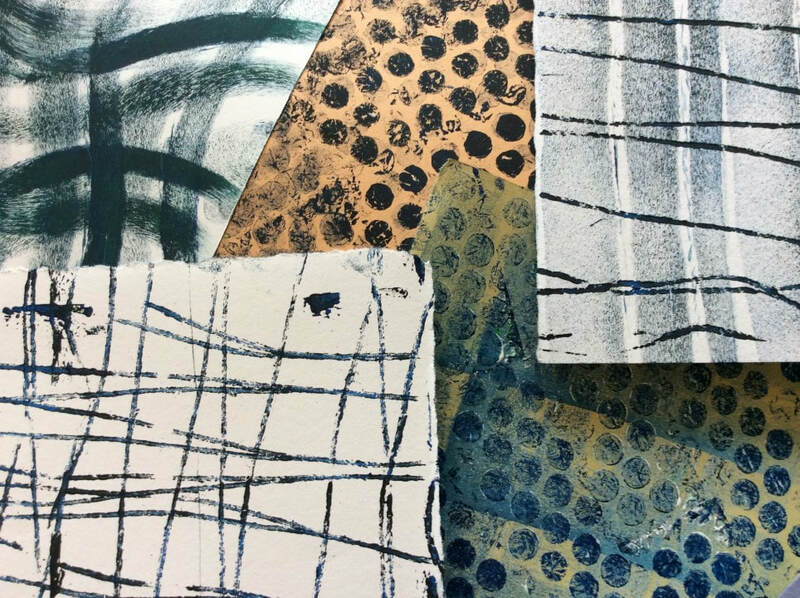 Taking our inspiration from a number of design sources, including mid century design and the work of contemporary printmakers such as Jenni Douglas and Jane Ormes, we will explore abstract pattern through mark making, drawing and collage, with a mixed media approach. Composition will be developed by creating our own experimental printing blocks and stamps, before we refine our ideas and experiences to develop a series of lino cuts. 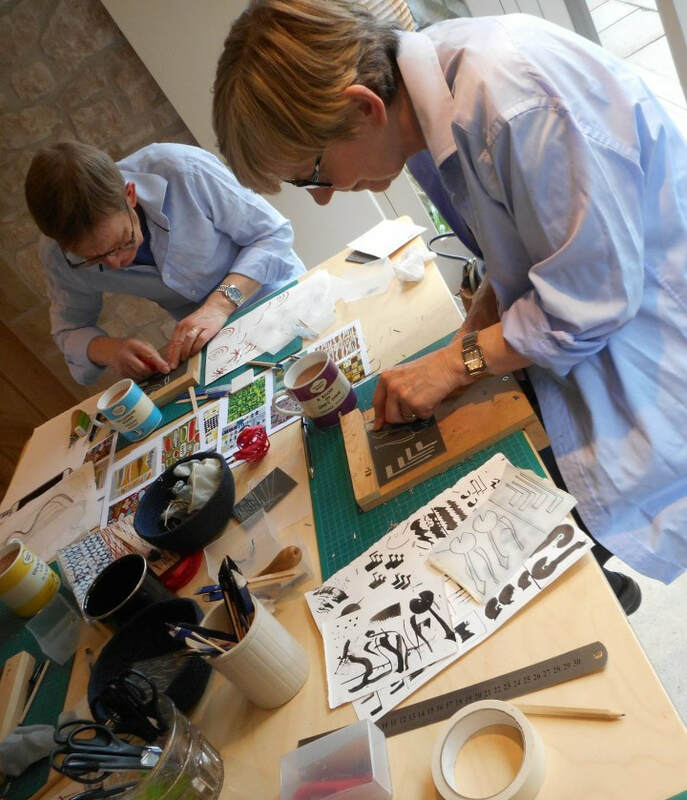 You will have your stamps and lino blocks to take home and continue your ideas. Our venue for the day will be the beautiful Long Barn at Meon Springs, set in the heart of the South Downs National Park. We will be joined by artist and maker Liz Wellby, who lives and works on the edge of the Peak District in Derbyshire. With over 25 years experience teaching and tutoring, Liz will guide you through designing, cutting and printing, enabling you to create a range of drawn and printed outcomes. 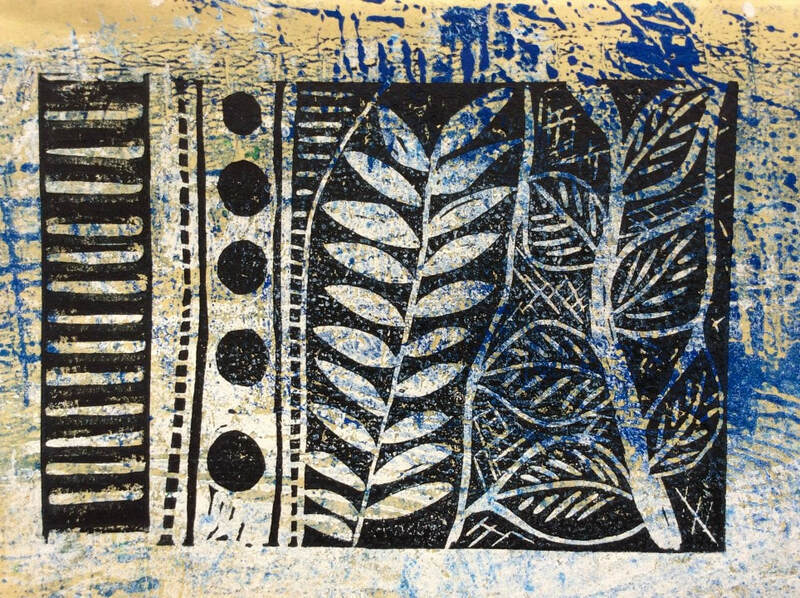 This one day workshop is suitable for folks who are new to printmaking or those with some experience who would like to try something of a more experimental and abstract nature. Places are limited to 12. Please bring along: an apron, an old magazine to transport your wet prints and a pencil case. 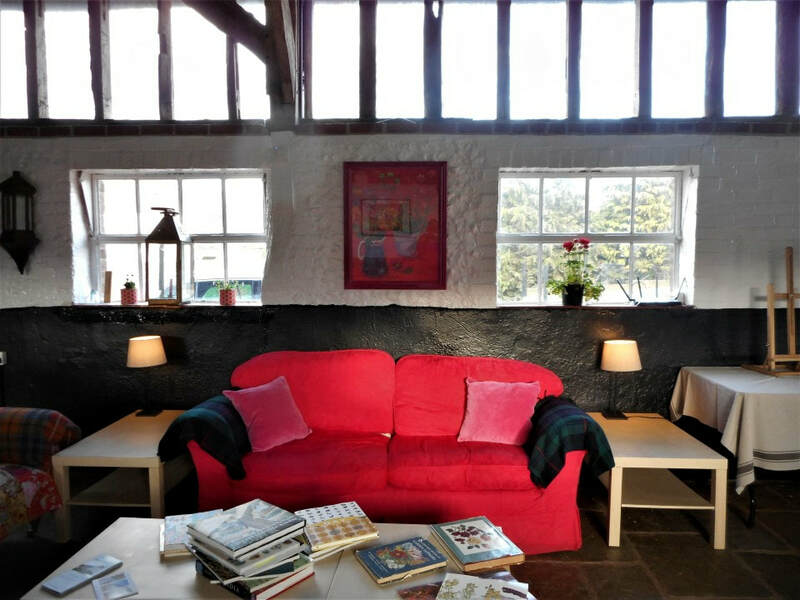 All materials and equipment will be provided; refreshments and delicious homemade cakes will be served in the barn. Please bring your own lunch.. This is a full day workshop from 10 - 4pm at a price of £75.